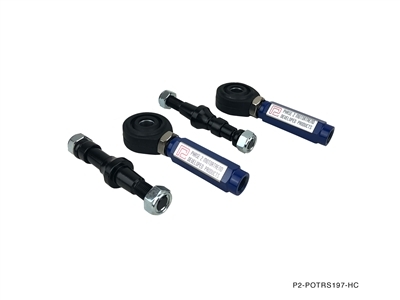 P2M pro outer tie rods for Ford S197 Mustang can be installed with existing OEM inner tie rods. The pro outer tie rods was constructed with S45C high strength steel alloy and comes with cone spacers to compensate the steering bump steer for lowered vehicles. P2M suspension bearing uses 3pc teflon lined bearing for reliability and comes with dust boot to keep dirt and grimes away. Thick powder coated blue finish for rust prevention.